I feel like this month has been full of pregnancy posts (and it kinda has). Now that the news is out, the gender is out, and I’ve talked about our decision to start a family, this should be the last post for a little bit. They’ll be more spaced out going forward and you’ll see more of the regular content around here. I wanted to get this post up before I forgot too much from the first trimester. I’m currently 16 weeks, so moving right along in the second. So far this pregnancy has been a pretty easy one and I’m hoping that continues throughout. I know that these types of posts can be hard for those struggling to get pregnant or who have suffered any kind of setbacks on their own journey. If that’s you, please feel free to skip today and come back another day. Just because our experience has played out this way doesn’t mean I don’t empathize with those of you who find yourselves on a harder path. All my best and good thoughts to you on your own journey. When we decided we wanted to start trying, I did some research on the best ways to predict ovulation (because SCIENCE). I had used a period-tracking app for years because I always felt dumb going to the doctor and never knowing the answer to the question “when was your last menstrual cycle?” This way I could always look back and have an answer, but that’s all I used it for. I knew that an app alone wasn’t a good choice because they base their ovulation predictions on a 28-day cycle and weren’t always perfect about predicting when my period would start the next month. The problem with these is that women’s cycles are so variant person-to-person and it’s impossible to standardize predictions to every woman. My cycle ended up being 26 days, so following an app never would have led us to trying on the right days. I knew I wanted to use some type of ovulation predictor, but also didn’t read encouraging things about the ones you can buy at the pharmacy. For one, they are expensive — especially if it takes awhile trying. 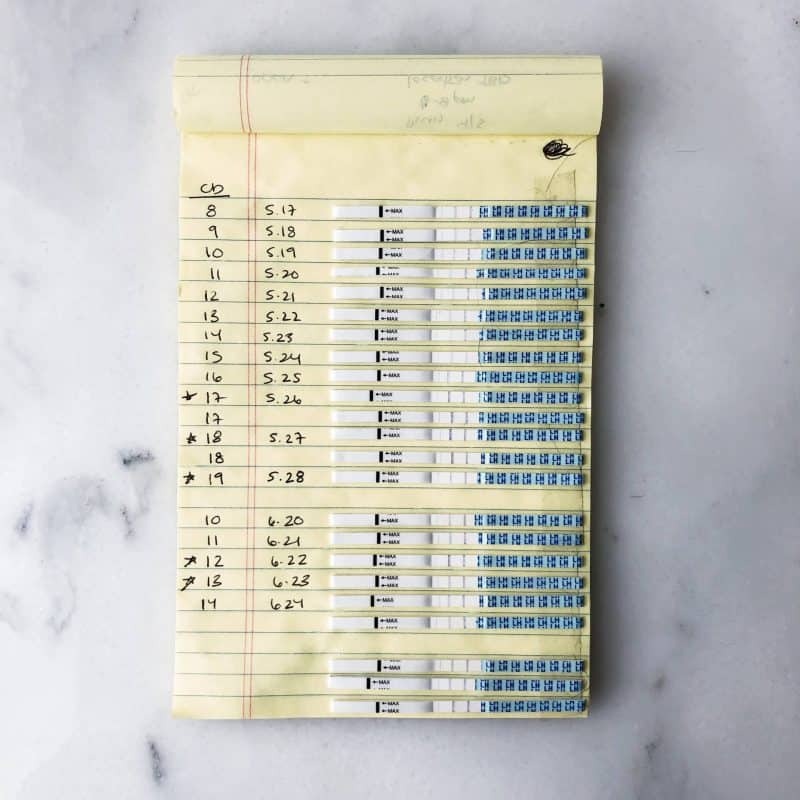 They’re more reliable than an app, but you’d also need to know approximately when you’re going to ovulate to use them so you don’t waste a million dollars on tests. So that one was out for me. There was also tracking body temperature and cervical mucus changes, but as much as I love science, I just wasn’t about that level of intensity. I finally came across the BEST suggestion ever — ovulation predictor strips. 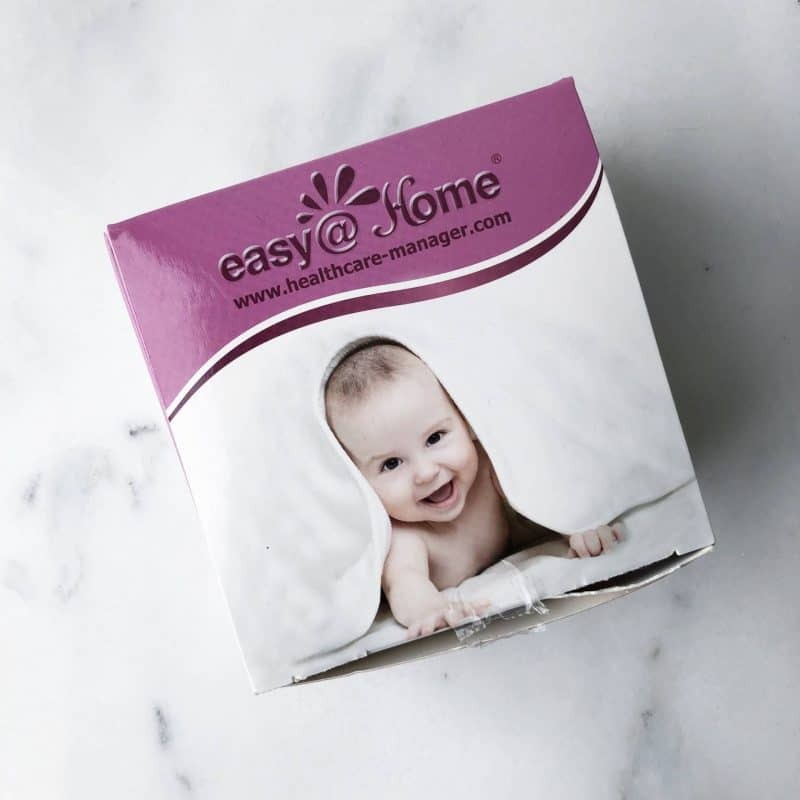 I chose the brand Easy @ Home, which gave me 50 predictor strips and 20 pregnancy test strips for only $16.85. That means I had 50 chances to test for ovulation and 20 to see if I might be pregnant. With ONE store-bought pregnancy test costing more than that, it was an AMAZING deal. There were also tons and tons of reviews and images which believe me I consulted way too many times along this journey. Each strip comes wrapped individually. You do have to dip the strip into a cup, so make sure you have some of those on hand to collect a urine sample. 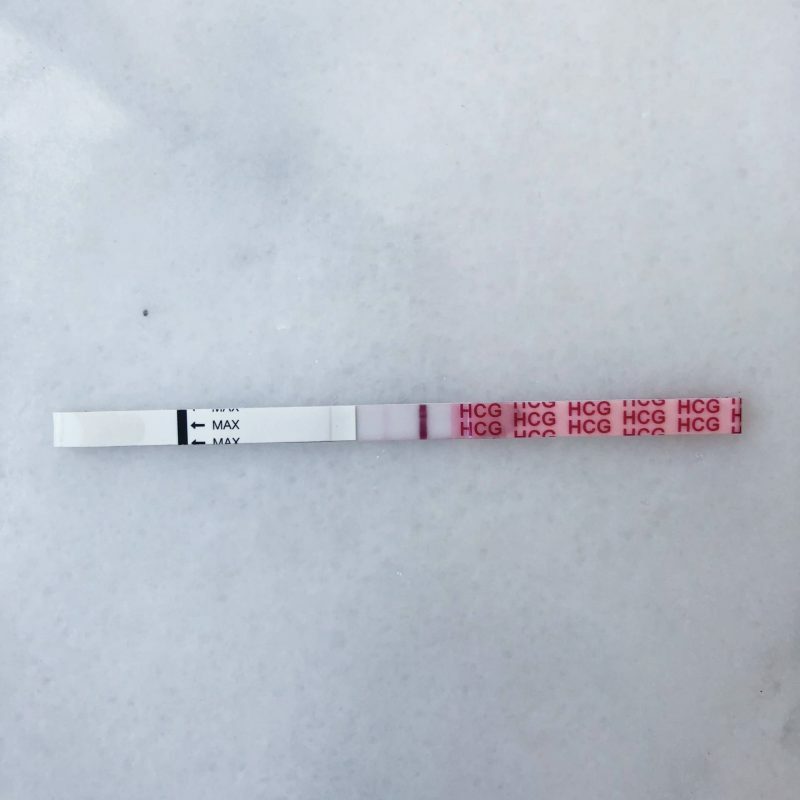 For the ovulation strips, you will always get two lines, but as you approach ovulation, the second line becomes much darker than even the control line. When this happens, it means that you will ovulate in approximately 24-48 hours and it’s GO TIME. It can be a little tricky to get the hang of (is THIS a dark line?? ), which is why I consulted so many of the Amazon images repeatedly before getting the hang of it. As many of the other reviewers did, I made a chart of my strips to track the progression. When finding them to link to you today, I just realized that they now have an app where you can scan the image in and keep track of it that way. Probably more sanitary. 🙂 Anyway, the first month I started testing early so I could just tell what was going on, but as the months went on I had a pretty good idea of when I would ovulate and didn’t need to start tracking so soon in advance. It took us four months to get pregnant. The fourth month I felt like we were out of luck again simply because I didn’t feel any different. I told Neil we’d probably have to try again and then just prepared to wait until it was time. One day, about 4 days before I was due to get my period, I decided to try one of the pregnancy strips. These strips will only have two lines if it detects the HCG hormone which is only produced in pregnancy. It came back with only one line and no hint of a second. The next day, I tried again (because 20 strips! ), then forgot about it and went about doing some cleaning. When I remembered a couple min later, I saw what I thought was a faint second line. I immediately called and sent the picture to a friend to see if she saw what I saw. She said she saw a second line. I had a therapy appointment already scheduled that afternoon, so I decided to stop at a local Target on my way there. 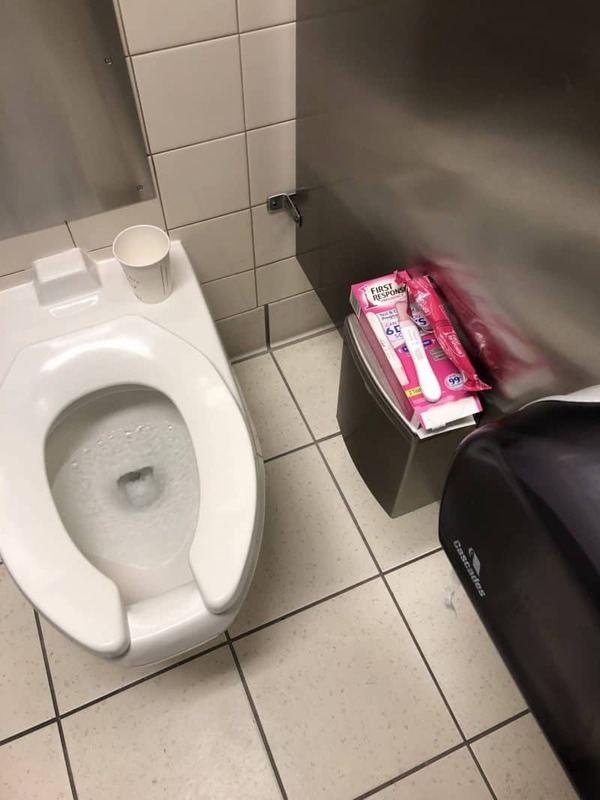 I bought another test and went to take it in the Target bathroom. Rather than sit in the stall for three minutes, I packed it all up in my bag, set a timer on my phone, and continued my walk to my appointment. When my phone alarm went off, I slowly peeked into my bag and saw another positive test. I made it to my appointment, walked in, and said “um, I think I just found out I’m pregnant. Like right now.” HA. This has been a very easy pregnancy up to this point *knock on wood. * I never threw up, only had a few days of feeling really tired, and didn’t have any severe cravings or aversions. In fact, I would often forget that I was pregnant, only to remember multiple times a day with a shock. The closest I came to morning sickness was just a persistent feeling in the back of my throat like when you may possibly get sick. It was really just annoying more than anything else and kept making me want to swallow. This lasted for a couple weeks, but was nowhere near some of the stories I’ve read or heard from friends. I did not eat a well balanced diet for most of this time period. I ate what my stomach said it wanted, which was almost never vegetables and almost always carbs. ALL THE CARBS. I didn’t really want my morning eggs, but had my PB + cherry jelly English muffins like they were going out of business. Aversions: I didn’t crave as many sweets. I’m also someone who eats the same things over and over again, but I wasn’t able to do that. I would want something once and then never again, meaning I was coming up with different lunches and dinners every day. Is this how normal people eat?? Cravings: Towards the end of the first trimester, I wanted only tangy foods (oil and vinegar, buffalo sauce, A1, sweet tarts, etc.). Pasta, but ONLY BOWTIES, was one thing I could eat more than once. I was about six weeks pregnant when Neil and I went to Greece. Contrary to some guesses, it wasn’t morning sickness that sidelined me during my trip. I really did get food poisoning or something of the like. At first I was like OMG IS THIS WHAT MORNING SICKNESS IS? ?, but then as it continued I realized it definitely was not. I called the doctor when we got back to move my appointment up and see if everything was ok (another thing I didn’t know is that you don’t have your first appointment until you’re 8-10 weeks along which is super nerve-wracking), but they said the baby was well insulated and based on the fact that I didn’t have a fever and was better to keep the date the same. The biggest change I noticed during the first trimester was the impact that being pregnant had on exercise. Before getting pregnant, I would work out 5-6 days a week. Only a few weeks after finding out, I started to find myself feeling short of breath much quicker and my heart rate taking longer to come down. I ended up cutting back to 3-4 times a week and taking rest days when my body felt more sore than normal or like it needed to rest another day. I started to choose the strength portion of workouts rather than the performance option which was usually more cardio-heavy and would leave me gasping for air. 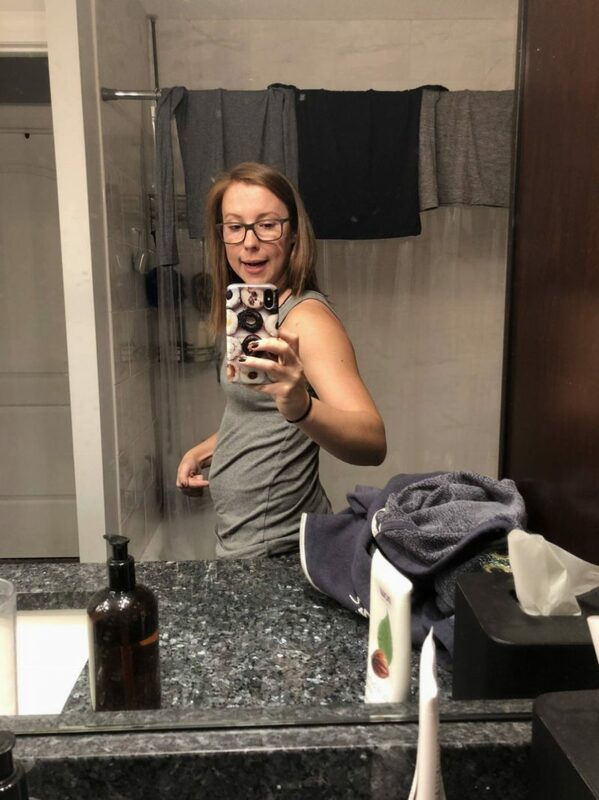 I plan to write a more thorough post about exercise and pregnancy in December, so I won’t get into too much detail here, but basically I listened to my body. I was still able to do most movements (I modified sit ups and full burpees around week 12-13) and am still doing everything I can within reason, especially since my energy came back during this second trimester. Honestly I was a bit of a mess during this first trimester. Not in the weepy “commercials make me cry” kind of way, but in the “I can’t get too excited about this because what if my baby dies” kind of way. One day I would be excited, then the next I would spend most of the day reading miscarriage forums and statistics. Fun stuff. On top of random internet people I had never met, I knew people who had lost babies at 12 weeks, 18 weeks, and even later. I basically felt like there was a never a safe point to enjoy the fact that I was carrying a child inside me. I also had some depression issues (I’m still on my medication which was advocated for and approved by three different doctors), which just left me kind of blah feeling and not motivated to do much work which is hard when you have two self-run businesses. 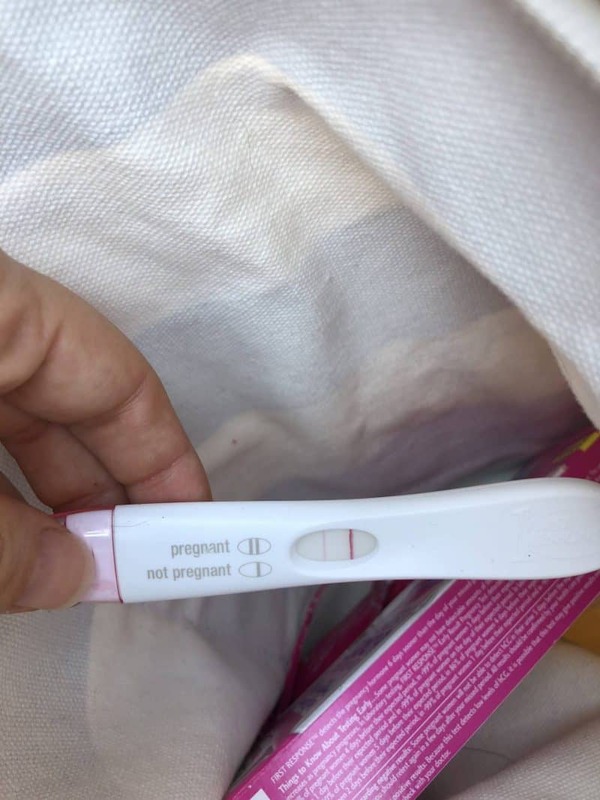 Every therapy appointment would be my therapist being excited for me and me trying to temper her excitement with comments like “yeah, if I’m still pregnant then” and “but what if…” She finally asked me what had happened in my life where I had been excited and then had it unexpectedly taken away or what could I think of that was not allowing me to enjoy this pregnancy and instead expect the worst? The way she phrased the question was eye-opening to me. I realized that there had been several events like that in my life where I hadn’t been prepared for loss or extreme disappointment and it had caught me off guard, almost knocking the wind out of me. In those scenarios I had felt unprepared and therefore felt feelings that I was trying to avoid feeling with this pregnancy. Once I realized I was almost in a self-sabotage protection thing, it helped me relax a little. That and moving into the second trimester. I’d be lying if I don’t still have those fears every now and then, but it’s not every two or three days like before. I had some questions about if Donut knew or suspected anything, and I definitely think she did. Normally she sleeps at the end of the bed, with rarer times of her coming up in between us to sleep. Right after I got pregnant and before I knew, she slept between my legs with her head on my stomach. The next night I woke up and her head was on my chest and one paw was on my stomach. 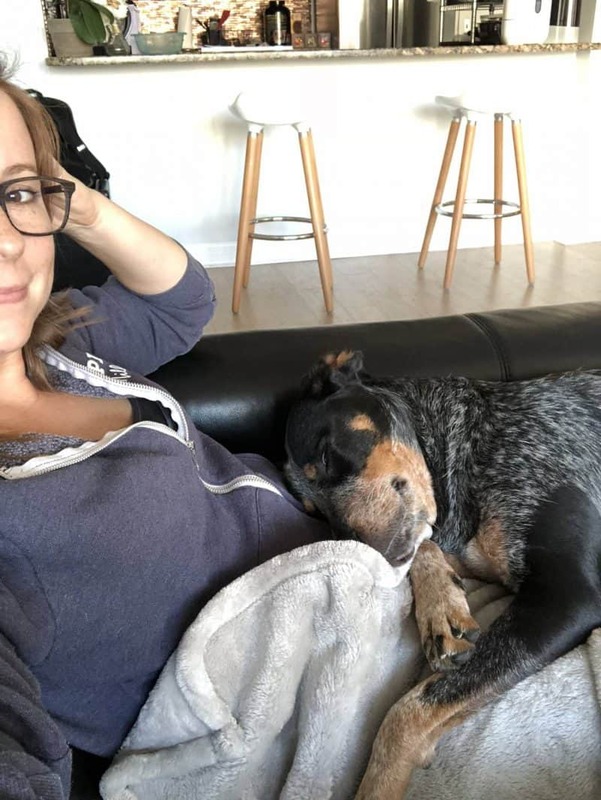 Because of her extra level of affection, I thought I might be pregnant, but later on she stopped doing it as much and because I wasn’t experiencing many other symptoms, I assumed we were out in month four. She’s been more affectionate, but not overbearingly so. She always likes to take naps near us on the couch, but more often than before she will try and crawl into my lap or put her head on my stomach. It’s basically the best thing ever. She’s good with strangers and kids, so I have no worries about when the baby comes. If anything, she may be too interested because she has to smell everything new that comes into the house with great fervor, but I’m definitely not worried about any kind of aggression or anything. Just lots of licks. Thanks for bearing with this long post! If you have any questions or things I didn’t answer, please feel free to leave them in the comments!! Awww Love this pic of you and Donut – so sweet! Aw yay!! I’m so sorry you got so sick on your trip! That’s such a let down after all the planning and excitement of getting ready for a trip. I’m so glad you weren’t very sick! I was so sick for 4 months and I wouldn’t wish it on anyone. I hope that you continue to have a smooth pregnancy! Can’t wait to hear more about your journey. Love the picture of Donut on you belly! I’m so grateful that my son had grown up with a loving dog. I’m sure she will be great with the babe.